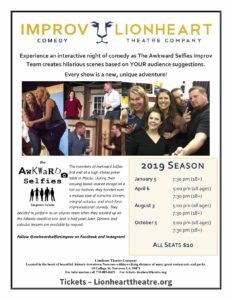 Here at Lionheart Theatre Company, we do more than put on amazing productions; we also hold a number of special events in Norcross. From exhibiting pieces of local art to welcoming magicians, comedians, and so much more, there’s no shortage of fun to be had at Lionheart. 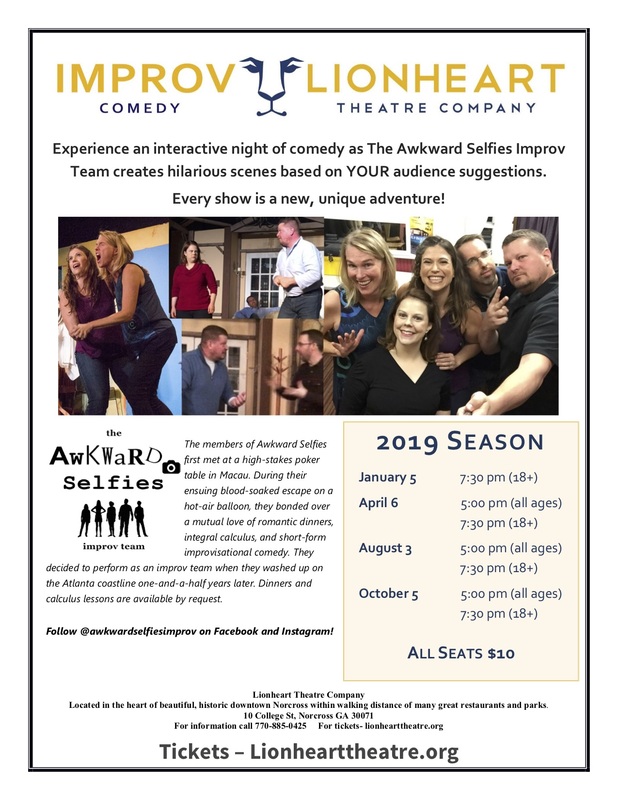 Join Lionheart in welcoming the hilarious improv troupe, The Awkward Selfies to Lionheart in 2019! FAQ: What's the Difference Between the Two Shows? Follow The Awkward Selfies on Facebook! Check them out here. 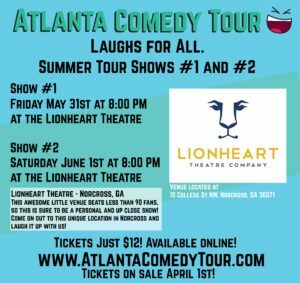 Come out to Lionheart as we welcome the Atlanta Comedy Tour for two nights of comedy and clean laughs. All tickets are $12. Historic Norcross is a beautiful community with vibrant citizens. We hold special events because it gives everyone a space to come together with their neighbors and enjoy the wonderful world of art. It also creates a sense of community, which is so important in a busy area like Metro-Atlanta. Preserving our community’s interest in art is vital as local school arts programs continue to get smaller and smaller. Our children need a space where they can learn and explore, and adults need a creative outlet! With our special events, we try to target both of these audiences, so that everyone can get something out of our theatre center. As part of the Norcross community, we are proud to help in cultivating a small-town feel in a big city. The rush of traffic and 9-5 jobs can easily allow us to lose ourselves, but the arts and the love from a small-town can bring us right back to our roots. In the past we have held art shows, workshops, and more. Sometimes our events are free and sometimes they come with a small fee. 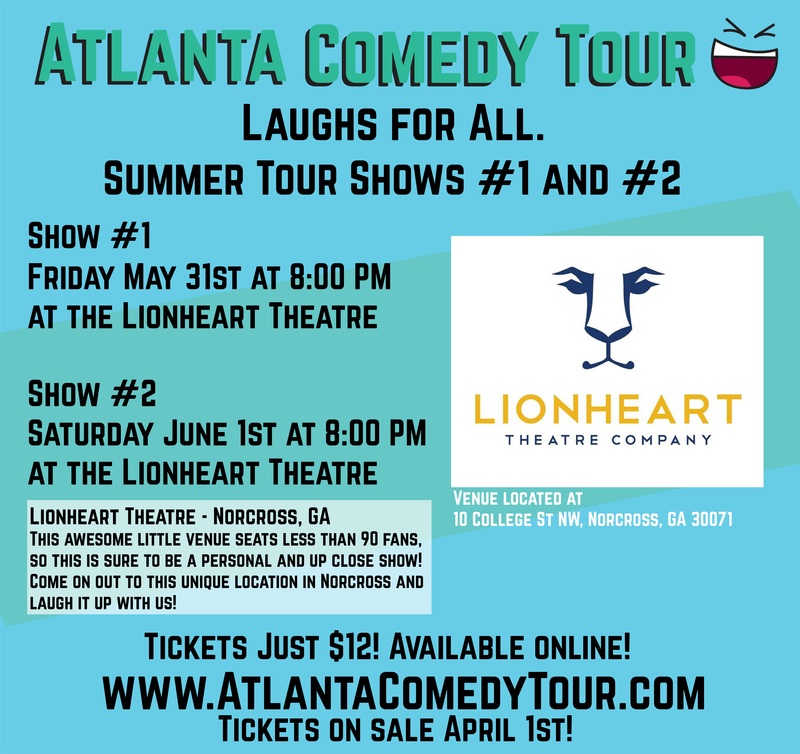 If you’re ever looking for something fun or new or different to do in Norcross, we hope that you will turn to Lionheart Theatre.